Lartington Hall is special. Nestled in 75 acres of romantic rolling parkland, it's an idyllic setting - think the Great Gatsby with Downton Abbey thrown in. Lartington Hall is a special place and it is yours, and yours alone, for the duration of your stay. You even get your own butler. Located in rural Teesdale, 2 miles from the vibrant market town of Barnard Castle, Lartington Hall is in the perfect location for a unique country house experience. With twelve beautiful ensuite bedrooms, ballroom, grand corridor, chapel and romantic gardens, there’s plenty to take your fancy. So, wallow in your free standing bath, take a stroll through the grounds, throw a penny in the fountain, relax in our sumptuous drawing room surrounded by designer silk, play snooker in the 17th century games snug or take dinner cooked by your personal chef. Think of Lartington Hall not as a hotel but as your very own private countryside hideaway. There are seven indoor spaces licensed for civil ceremonies to take place giving you so much choice and flexibility for your special day. Lartington can also organise an outdoor ceremony for you too! They have fabulous quality table linens and a choice of shabby chic ‘gold’ or cool, Starck inspired ‘ghost’ chairs to choose from – not a chair sash in sight. No two weddings are ever the same at Lartington Hall so they will not bore you with hints, tips, seating plans and other such stuff. After all its your magical day,. So please get in touch to talk through options. 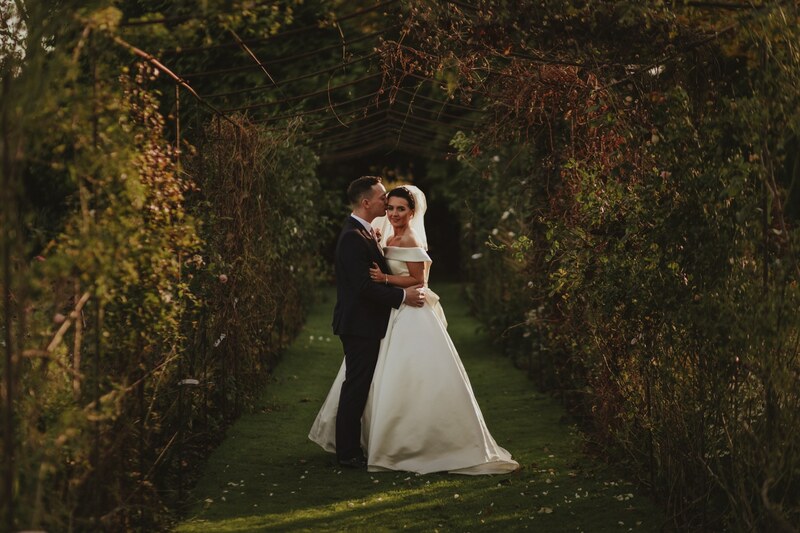 Planning a wedding is not as difficult or hectic as you might think with Lartington Hall – it’s a really enjoyable journey with a stylish and unique end result.